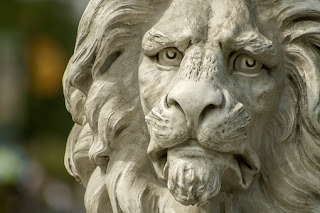 OTR: Is it Possible to Tame a Lion? A little girl once raised her hand to ask a seemingly impossible question from her Elementary science teacher. “Excuse me madam, is it possible to tame a lion?” she politely asked. “Oh yes. You’ve got authority over them; not them over you.” The teacher replied with a smile. yes, you can! You can actually and really tame your anger. You have authority over it – reasoning is the greatest tool of all times over this monster. Let me take you on a Biblical journey – my favourite literature. What do you think Jesus was intending when He said, “Be quick to hear but slow to respond”? The God and Maker of man knows that the greatest weapon against anger is reasoning. Moreover, this weapon, reasoning, must be lunched immediately after you must have heard or seen what could make you very angry. What Jesus meant here is that before you act, after hearing; take a brief break to reason out what your response and its consequence will be. By then, you would have overcome all the foolishness of anger. I remember a young lady, when I was a teacher in one of the preliminary centres I had taught. I hated distraction and coming late to class was just one of my worse enemies then. So I would tell my students never to bother coming to class once they were 30 minutes late. Some had been adhering to that while some would dare and be sent out in correction. This fateful day, a lady came in too late. The class was supposed to be for two hours but she came in obviously late. She entered 30 minutes when the class was about to end. Already, the rest of her colleagues who made it earlier enough to the class were expecting fire from my mouth. I was already boiling from within me too but I decided not to take it harshly. I sat and observed her and noticed she was sweating so profusely. Then I reasoned she must have done all she could never to miss my class for that day. It must have been circumstances beyond what she could control that held her up. Despite her obvious lateness, she was not discouraged. She still made it, whether late or not. Do you know what I did next? I called her closer and stretched out a ten naira note to her. That was all I could reach for in my pocket. She looked dazed and tears filled her eyes. Why? It’s because she never thought I could understand all she passed through because of my class. Others felt cheated but when she showed them her bruised toe and cut sanders while running to catch up with taxis and motorcycles all because she didn’t want to be late to class. They later commended my wisdom borne out of reasoning. You see, Jesus had to do the same thing when the adulterous woman, “who was caught right in the act” was brought to Him. Jesus could have responded immediately and say something like, “look at this ungrateful woman, don’t you know I came just to die for your sin? Why would you have to compound my pain on the cross by committing adultery? Stone her to death!” But rather, He stooped to reason. “Were there not two that committed the sin of adultery, why should one suffer whiles the other goes scot-free? How is justice going to be established that way?” What a perfect Lord of all! Do you now see why you should take out some time to reason before you act? Anger is quick to respond or act and its end result is foolishness. Reasoning, on the other hand, is slow to respond or act and its end result is wisdom – the correct application of knowledge, power and strength.